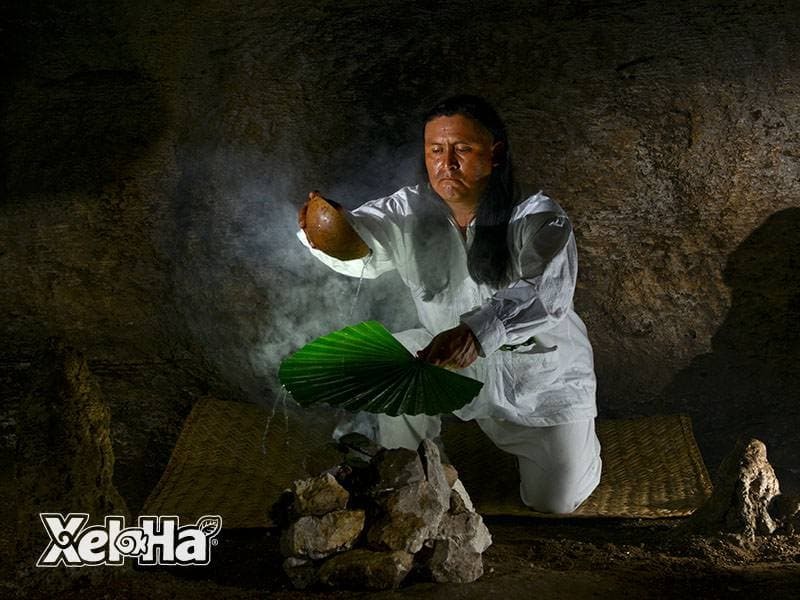 Be part of an ancient ritual in Xel-Há. The Temaxcal is a steam bath inside a dark cavern that symbolizes the womb of mother Earth, an ancient place of connection between gods and men. In here, a spiritual journey unites with a pleasant approach to the basic elements of our planet: water, fire, earth and air. Feel how the aromatic vapors detached from the herbs and red-hot stones surround your body to purify your soul. It ends with a refreshing dip in the crystal waters of a cenote that allows you to balance your body temperature. Individual towel (exclusive use during activity). Duration: 1 hour (5 min welcome, 10 min ceremony, 25 min inside Temaxcal and 15 min relaxation and farewell). The use of t-shirt and jewelry is not permitted. Inside the Temaxcal only swimsuits are allowed. This activity is restricted to people who suffer from asthma, vertigo, back or knee problems, heart problems or pregnant women. Activity only available during high season. You can purchase this activity directly at the Park.